For years, I played music at the beginning of the college classes I taught. Whenever I played “Get Away” at least one student would ask “What is this?” To which I would have to reply, “The Internet”. No I was not being snarky. 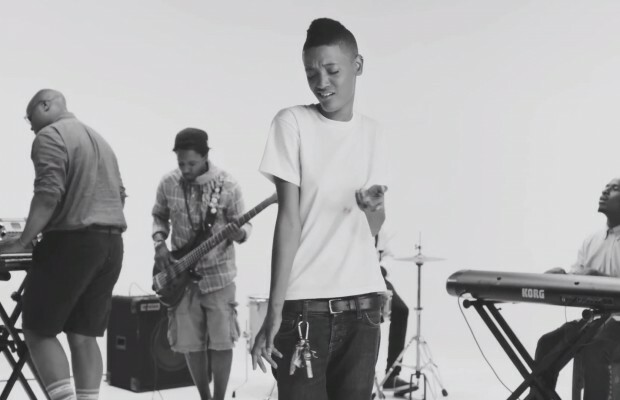 The band, The Internet is an L.A. banded headed up by Syd Tha Kid, who lends her hip hop meets neo-soul vocals, and Matt Martians, who provides the keys. The band is from Odd Future the 20+ collective that may or may not have broken up and included the likes of Frank Ocean (where is he? ), Earl Sweatshirt and Tyler the Creator to name a few. I have to say though that The Internet is hands down my favorite part of the collective. Their music is interesting and cool and just all around feel good. While vocalist Syd could use a little voice training, she has more charisma than all the people I’ve met in the last year. What’s more the adorable Ethiopian front woman is a vulnerable and real as she frequently opens up about her battles with depression, loneliness and her sexuality. She makes the band interesting and they are totally worth listening to especially if you can find acoustic versions of their songs like their NPR Tiny desk concert. Ironically, it also gives the perfect starter lists of songs.